My first trial this frock is..! And it came very well.. 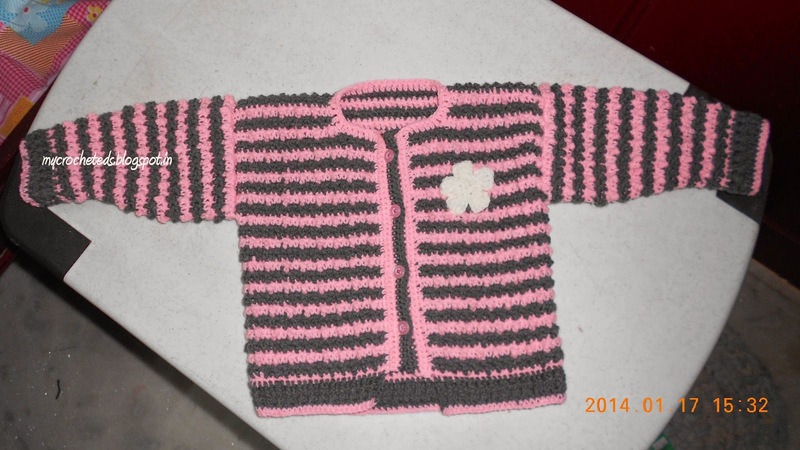 I crocheted this for my baby sister.. I love this pattern from Red heart site.. 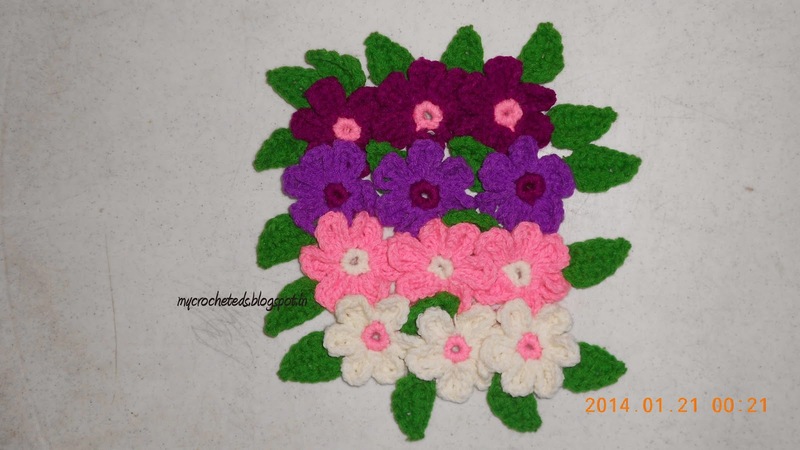 This flowers i used here are not from the red heart site.. 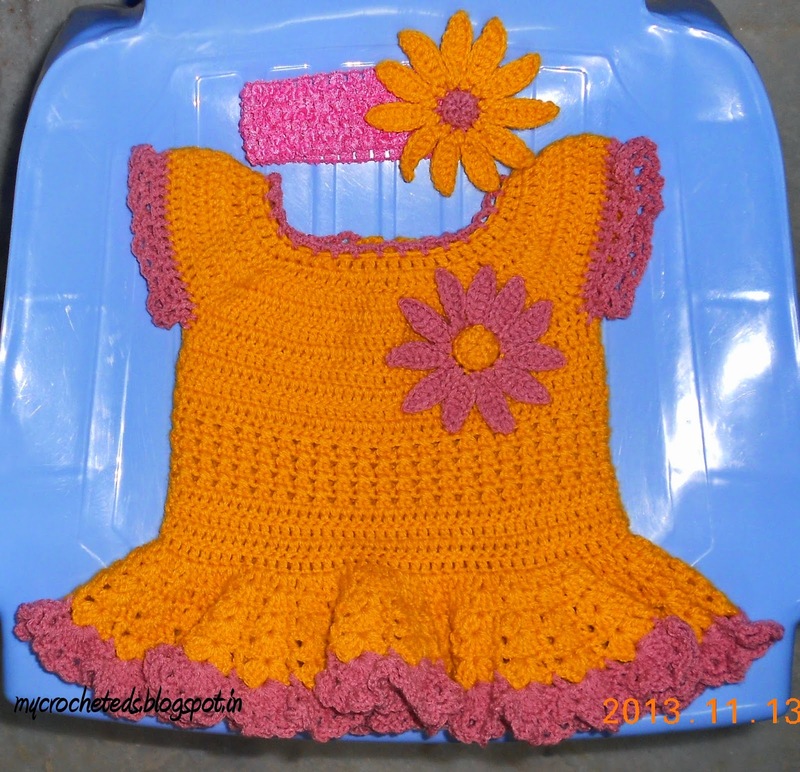 But you can find the another design of flower pattern there..
My first trial of sweater.. 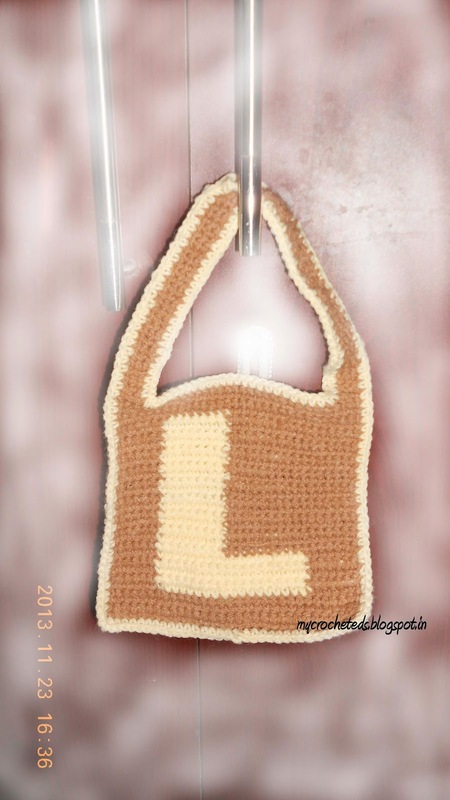 I followed the pattern in the red heart site..
Its easy to crochet or knit with the yarns that are already winded.. Also most of the times we buy that winded yarns to save our time and effort to wind it ourselves.. 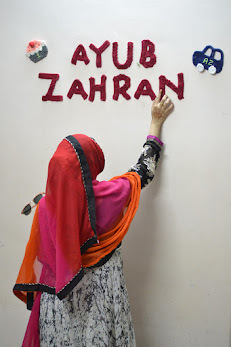 But unfortunately some yarns will be available loosely, that yarns sometimes may be the cheapest one.. And some whole sellers have that type of yarns.. To avoid the expense and considering our budget we where sometimes forced to buy that yarns.. 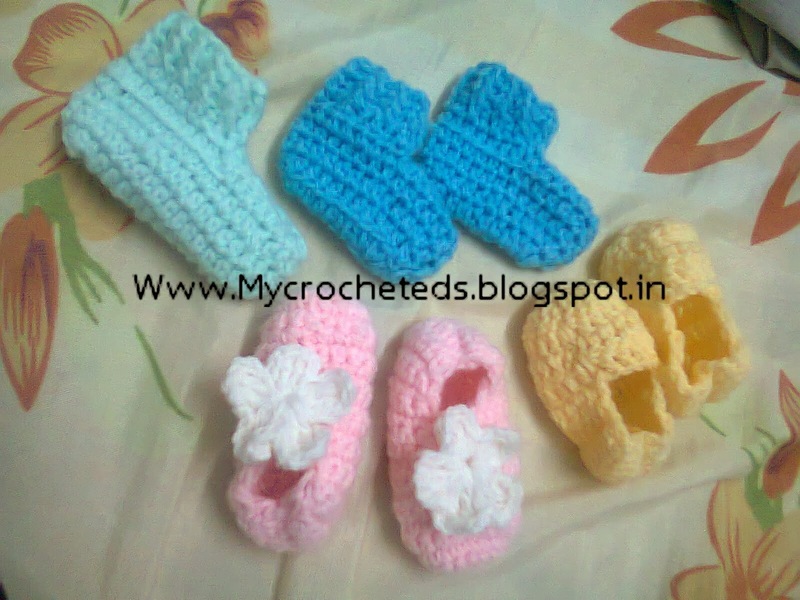 Sometimes considering the quality we will buy that type of yarns also.. Some crafters have yarn winder in their home so they can easily wind those type of yarns easily.. 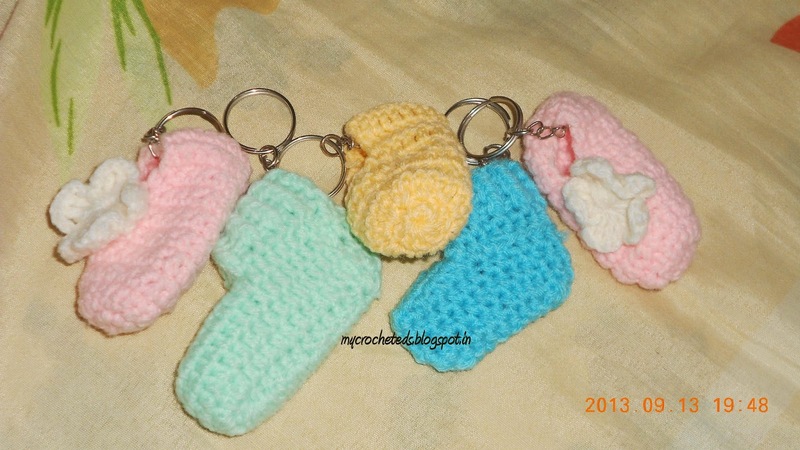 But some of them dont have such yarn winders like me.. So what?! 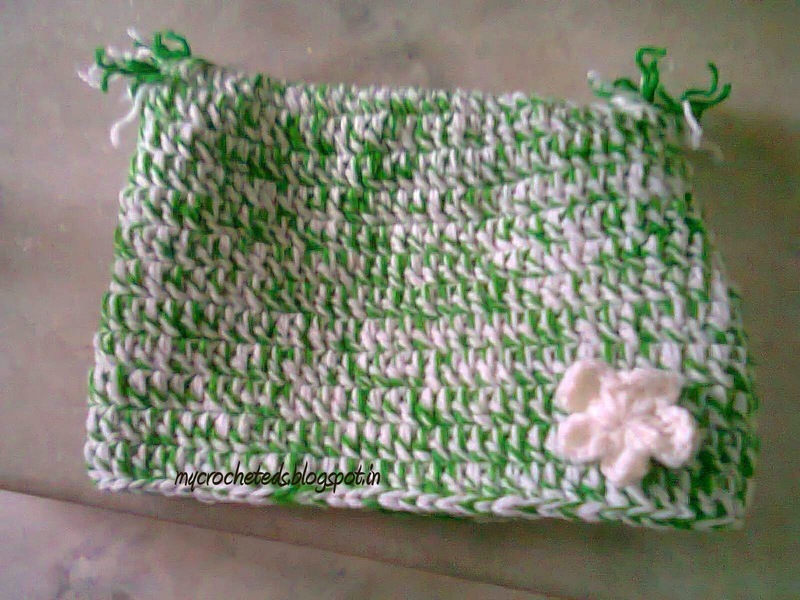 You are having a natural yarn winder with you.. Yes your hand! 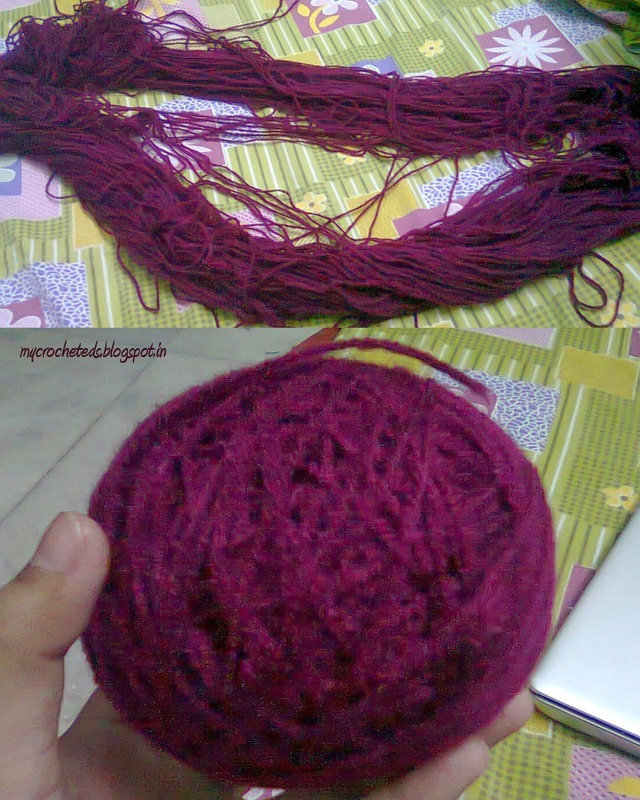 Here i share my secret of yarn winding with my hand.. Its so simple to follow.. 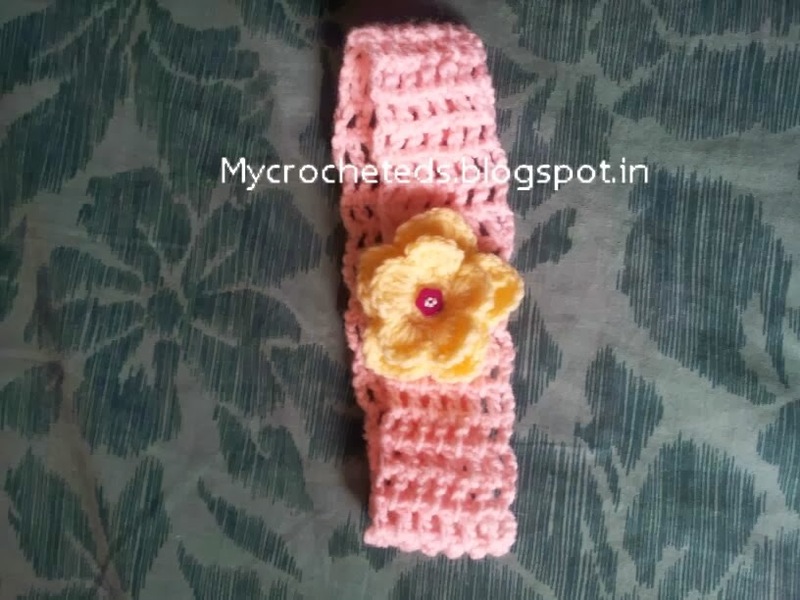 This flower wall hanging is very easy to make and if you dont know what to do with your scrap yarns left, you can still have chance of crocheting this blooming flower wall hanging.. 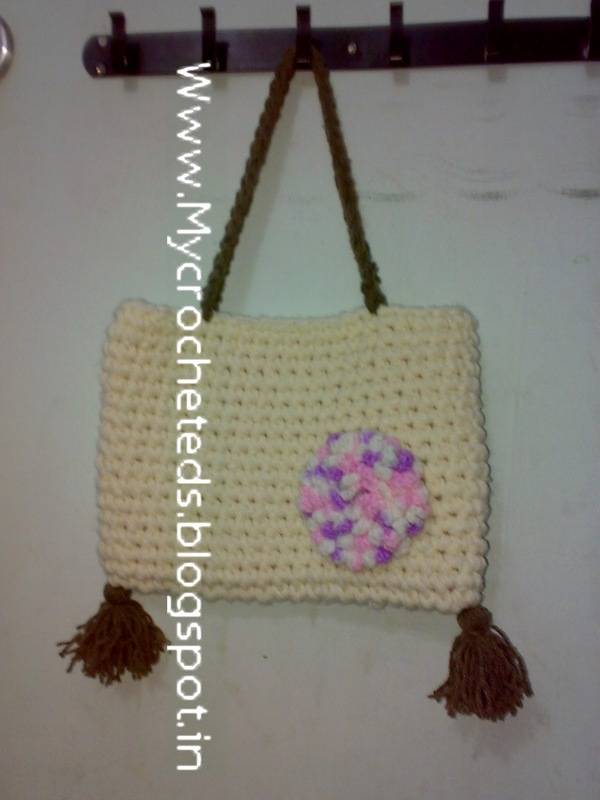 I used 5.0 mm crochet hook and a worsted weight yarn.. 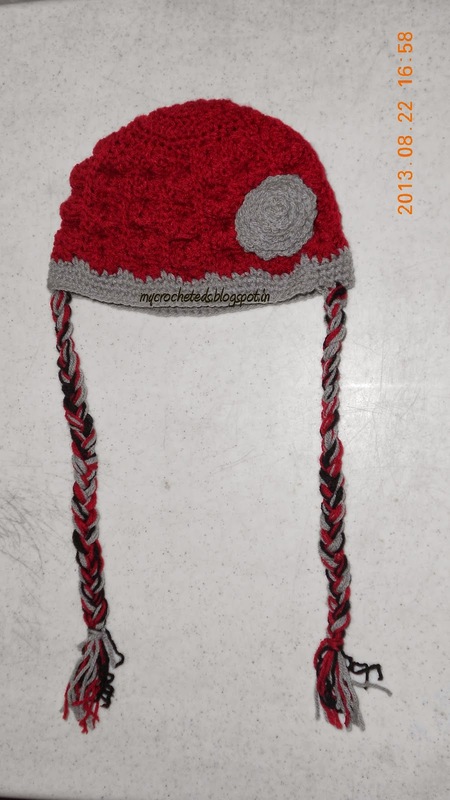 This is shell stitch beanie with braid.. 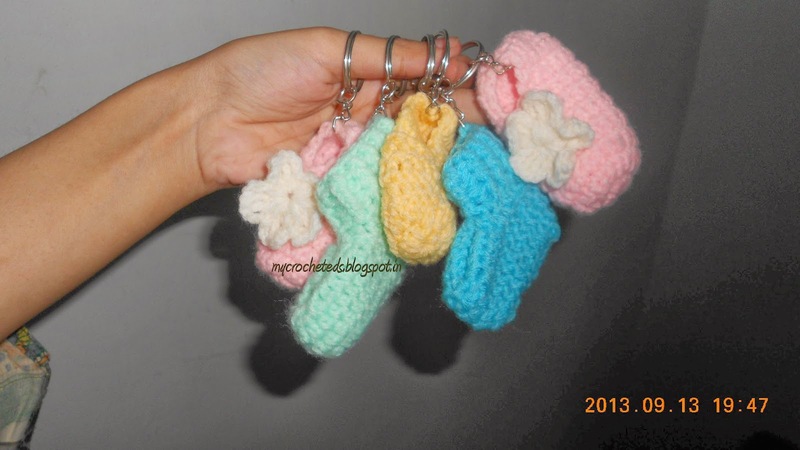 I dont know where exactly i found this pattern.. I searched a lot to link the site here.. But i cant able to found it till now.. 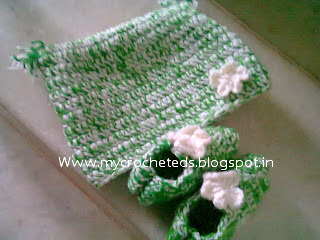 So that i didnt mention the exact step by step pattern here.. 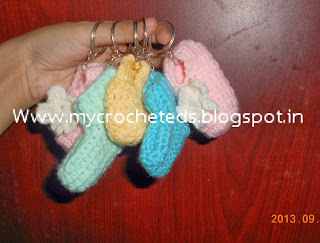 I just posted only the overview of this pattern.. 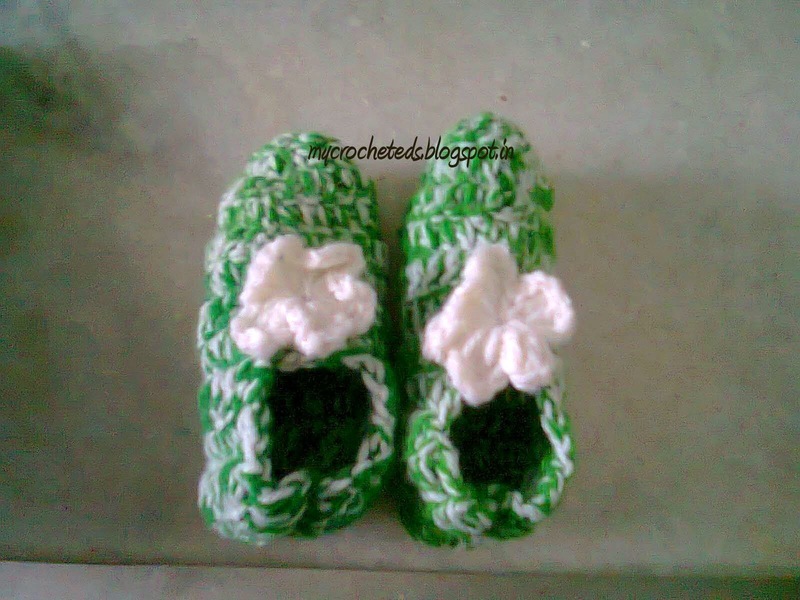 Yes its actually crocheted with an old blanket.. 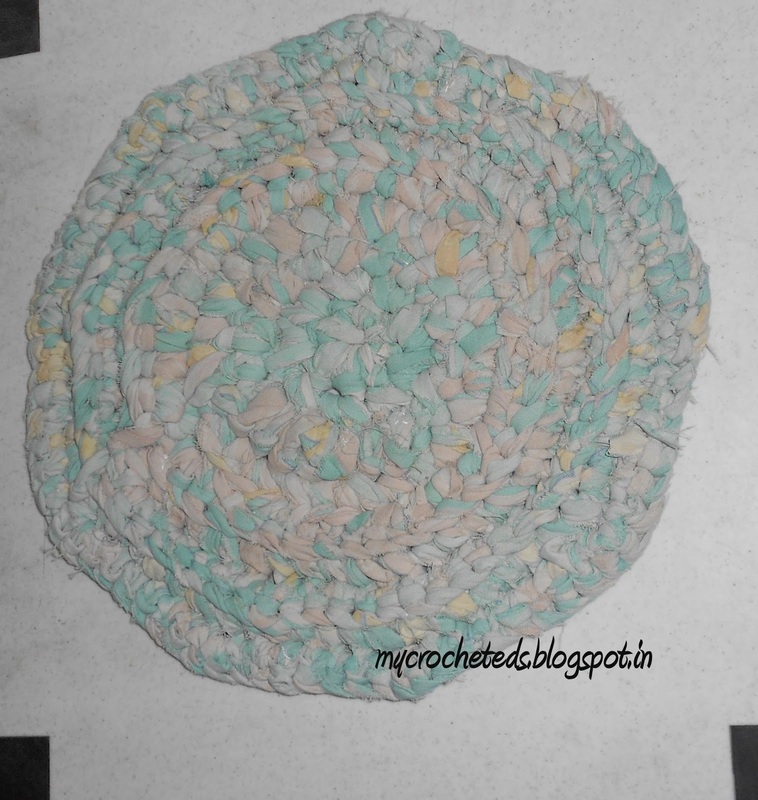 I used 10 mm crochet hook to achieve this pattern.. 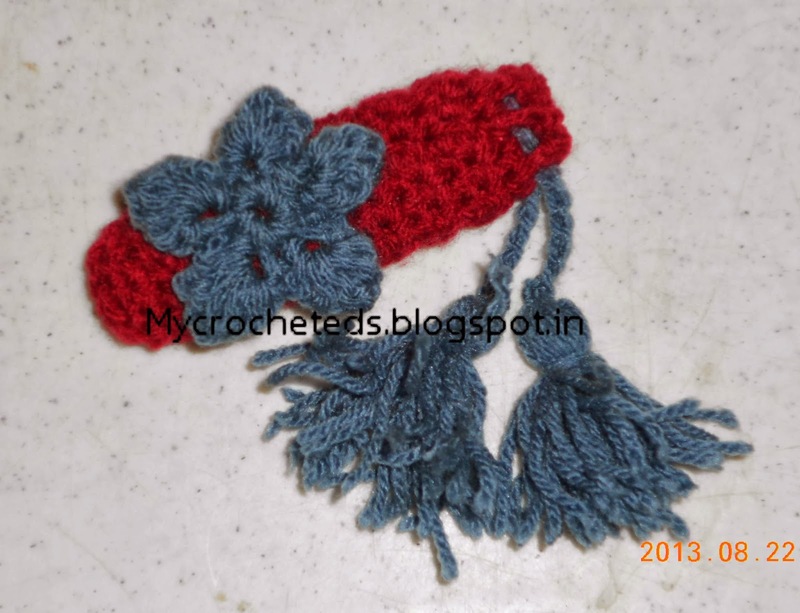 This headband is very easy to crochet and gives you an elastic finish while wearing it in your girl's head.. 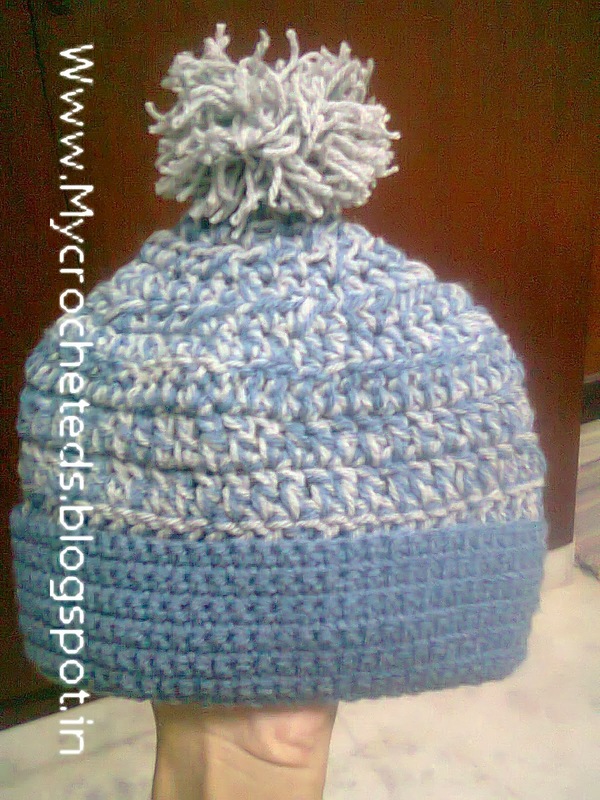 I crocheted these 2 bags for 2 of my sisters..
My crochetings of different types of beanies for babies..
A simple basic stitch of sc and dc beanie.. i mixed two colors of yarns (grey and blue) together and crocheted this one,, to show the variation i made pom pom in grey yarn and bottom SC with blue yarn..
Dont think this as an easy one, this has got three separated crochetings which then joined together.. Tedious one yet a simpler crochet booties.. You can find this pattern here.. 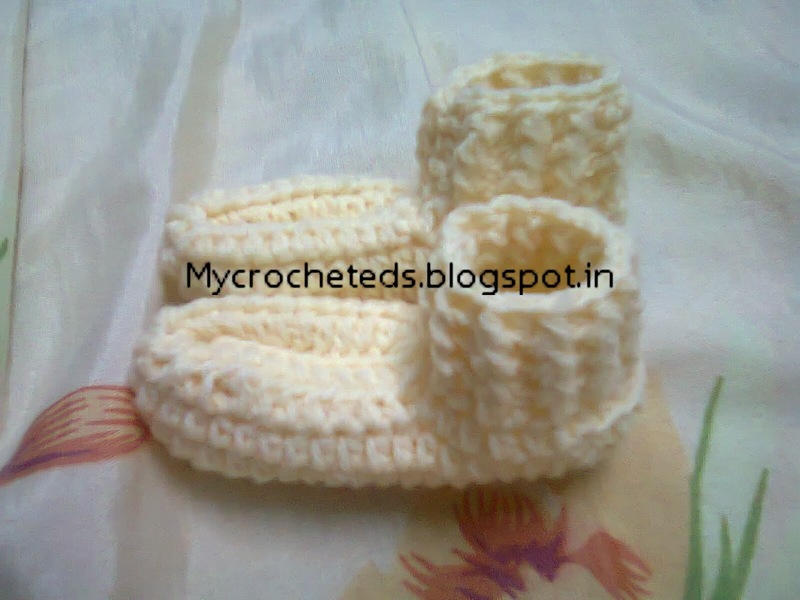 This is simple and easy booties which you can see here..
Its made of double crochet stitches.. 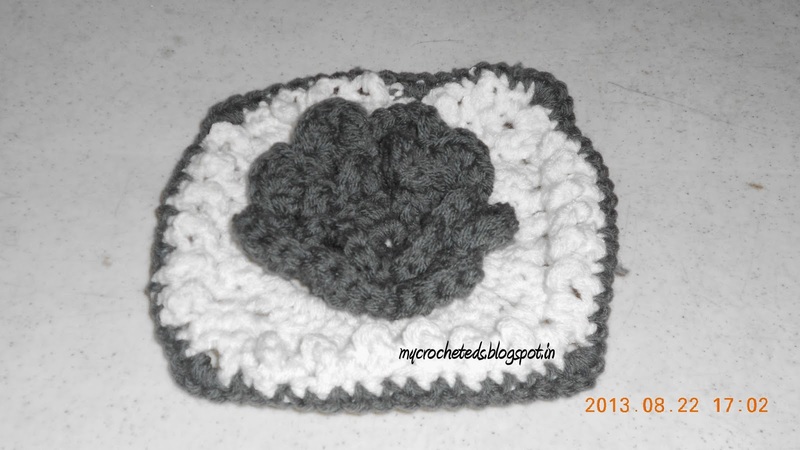 I crocheted this pattern with holding two colors of yarn together.. I did these booties just to get started my crochet work again after long gap of years.. 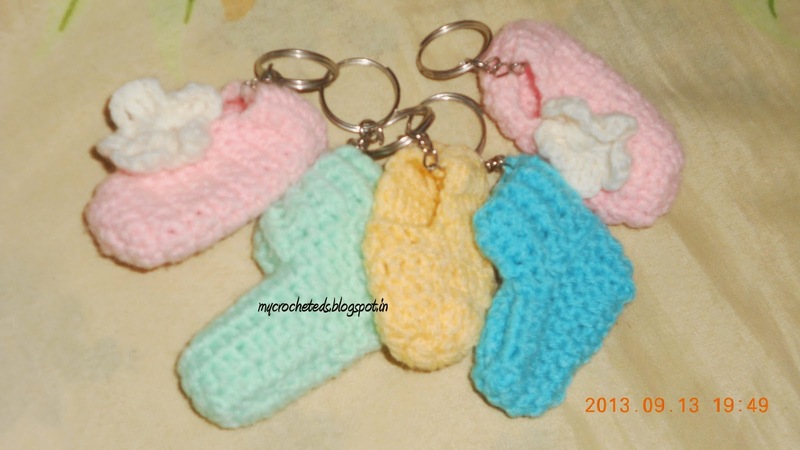 So i just gave it a trial, a small model booties for my big sized project..
For pink and cream booties you can find the pattern here..
For green and blue booties you can check the pattern here..